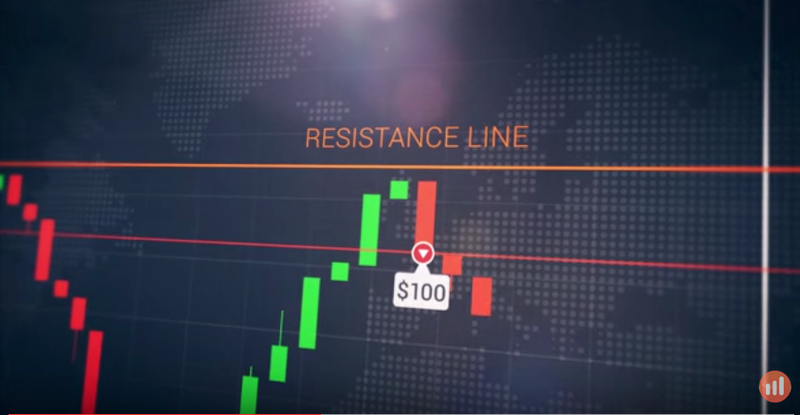 The Rebound Line is a binary options strategy that aims to catch the movement of an asset at the moment when the price cannot break trough the support/resistance levels. 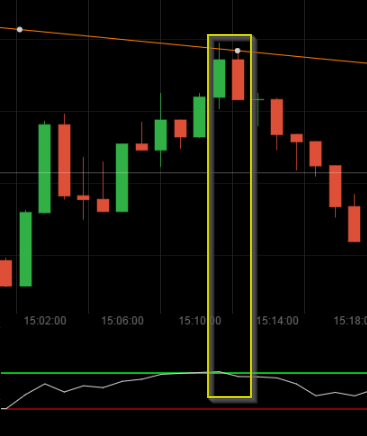 …and the first candle close below this level, the possibility of a rebound is greater than the possibility of growth. 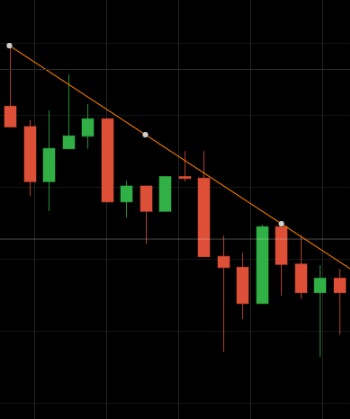 The Rebound Line Strategy is relevant for a neutral trend, just as for the upward and the downward trend. 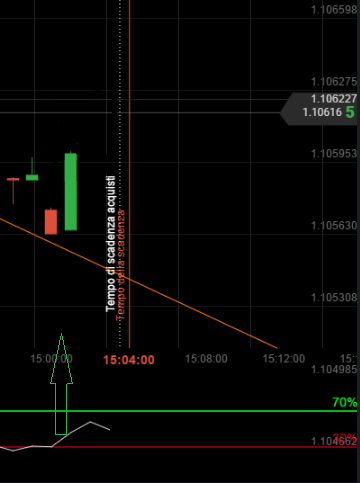 …and the first candle closes above this level, the possibility of a rebound is greater than the possibility of a decrease. 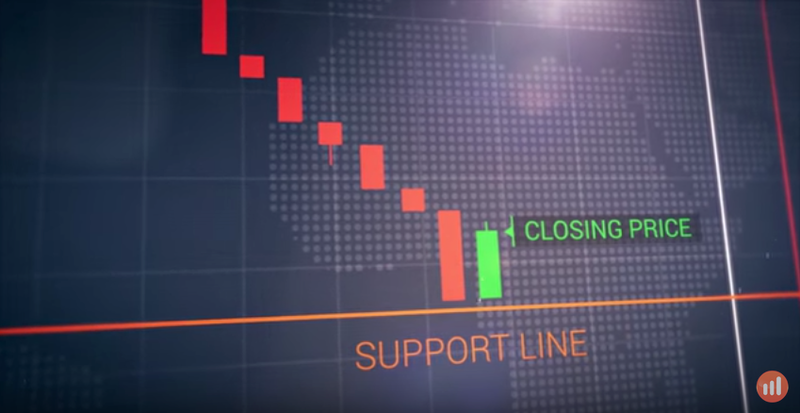 It’s better to buy a CALL option. Meanwhile the name, the Rebound Line Strategy. 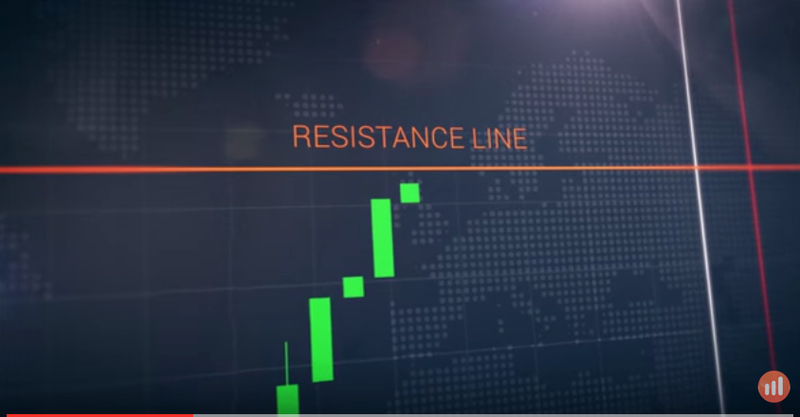 It refers to an action of rebound caused by lines of resistance or support. But we must accept the fact that it will not always take such decisiveness, but sometimes the prices, which have been blocked, “break” these lines, continuing from the previous direction. 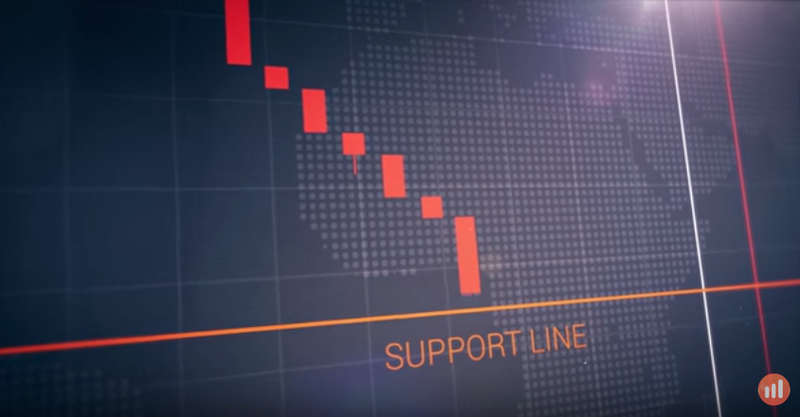 Meanwhile, we will be identifying the SR lines (Support and Resistance). 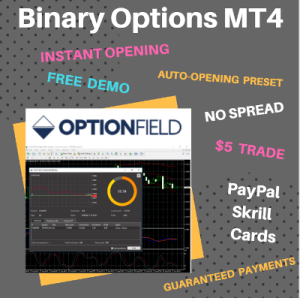 These lines are drawn manually by the trader on the graph of the broker or an external graphics, like Metatrader. SR lines are levels that prices cannot overcome, and even if they do, it would be with some difficulty. 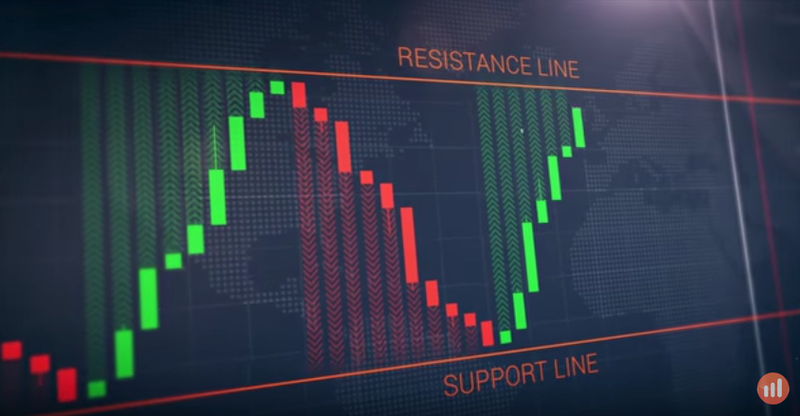 Resistance is the upper line, Support is the bottom one. The main reason lies in the psychology of the market. 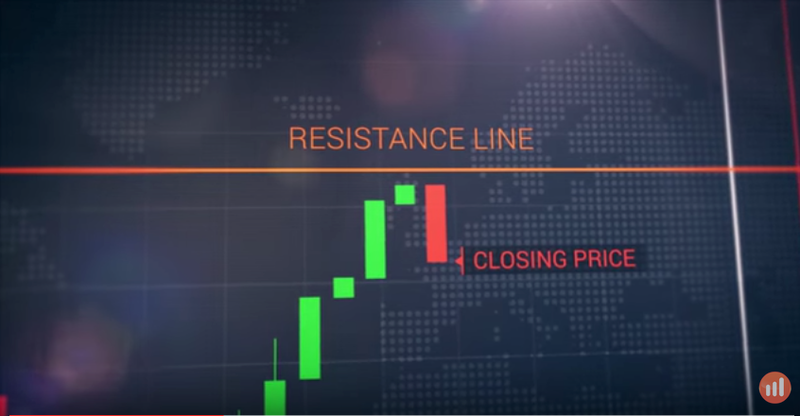 For the support levels the number of purchasers generally becomes higher than that of the sellers, pushing the prices up, vice versa for levels of resistance. 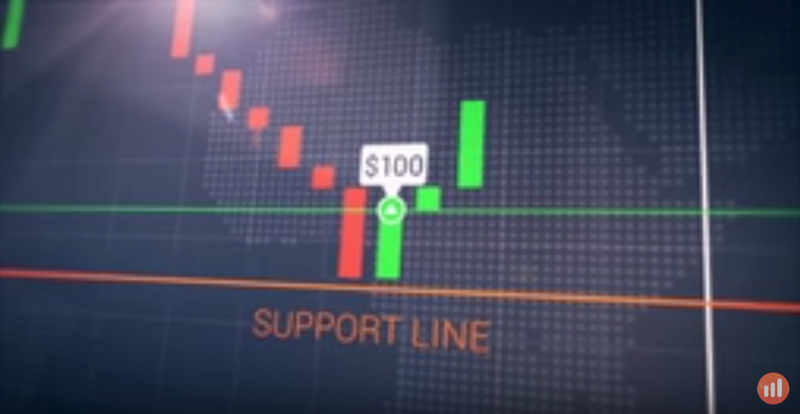 Caution however, when a support level is broken, it automatically becomes a resistance level and vice versa. If we limit ourselves to where prices are rejected by the line, we will not exceed it. 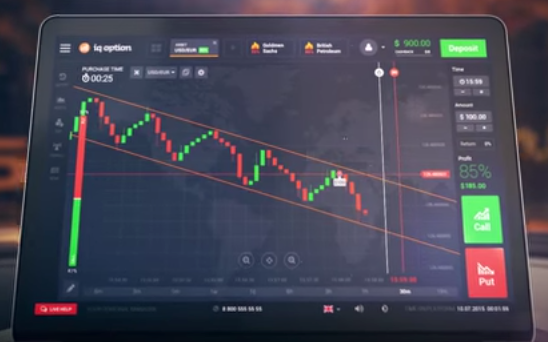 SR lines are traced by observing the graph, and combining the maximum among them and the minimum among them, those that are presented as “peaks” of the market trend. We note that at various points, the prices have actually rebounded, making it possible for an eventual entry in the PUT near the line. 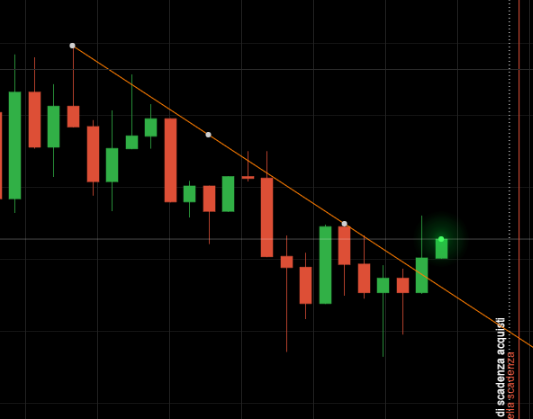 These are called the Trendline, since they define a trend. We mentioned that the prices can, however, exceed the level line, rendering our purchase into a negative result. Let us further examine how to defend ourselves from such an accident, with a suitable instrument. 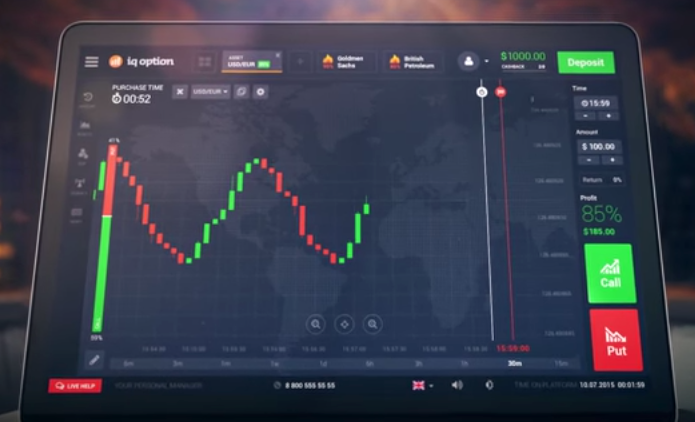 Pooling the feedback of many fellow traders we have become convinced of creating an additional tool to deliver us the opportunity to avoid wrong inputs, the indicator RSI. 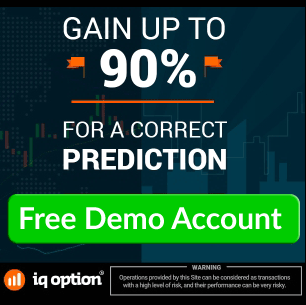 This indicator (RSI, Relative Strength Index) allows us to identify areas where the market is about to change direction. 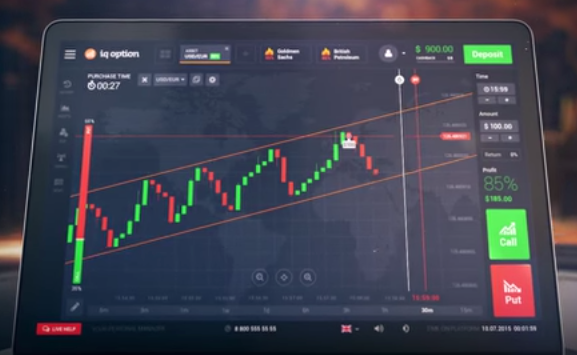 The RSI is available in the platform of Option IQ and its use is conceptually simple. 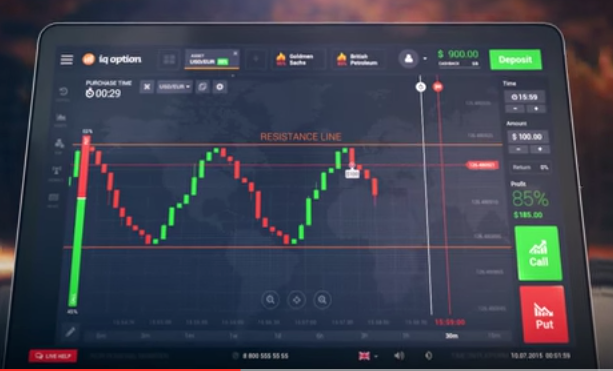 In the figure we note the RSI indicator, with a scale of values ranging from 0 to 100%. It identifies three zones, one central, between 30% and 70% and other two zones, above 70 and below 30. These are areas of overbought or oversold. The area above 70% is overbought and want to communicate that if prices are satisfactory in this area it will achieve an overrating and sooner or later they will fall in value. The area less than 30% is oversold and want to communicate that if prices are found in this area will provide good feedback and eventually increase in value. 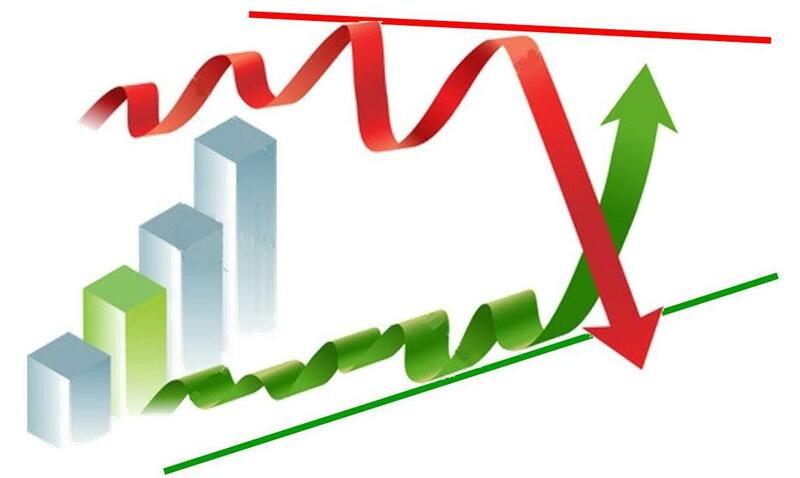 If prices are in the area of overselling, for example, less than 30, we may decide to buy a CALL option. 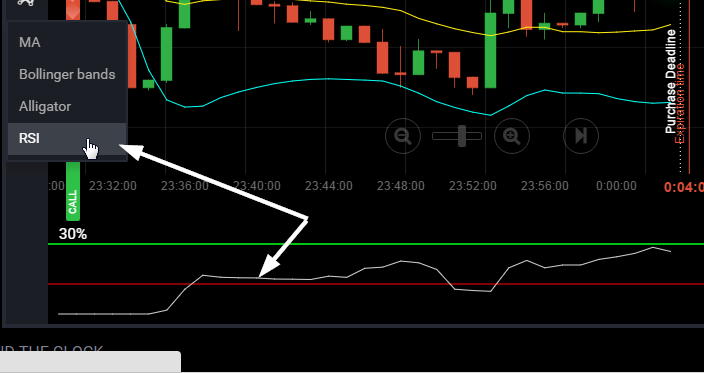 However, this decision will be taken only after the RSI graph reaches the 30 line, taking in the central area. Conversely the case of a PUT, which will take place by observing the overbought zone, the prices will leave toward the central area. Often clear and understandable, these are confirmed by researching through the web. If applied correctly it should provide interesting results. Nobody forbids to combine the technical input to another indicator with which is more familiar.